VA 295 #1: Appeared Oct 1935 (CTB) as a newly numbered route. Ran from VA 233 Catlett southwest for about 6 miles. In 1938 this was extended to US 15-29 Remington. 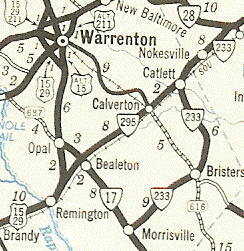 VA 295 was renumbered as a rerouted (current) VA 28 in October 1940 (CTB Minutes). 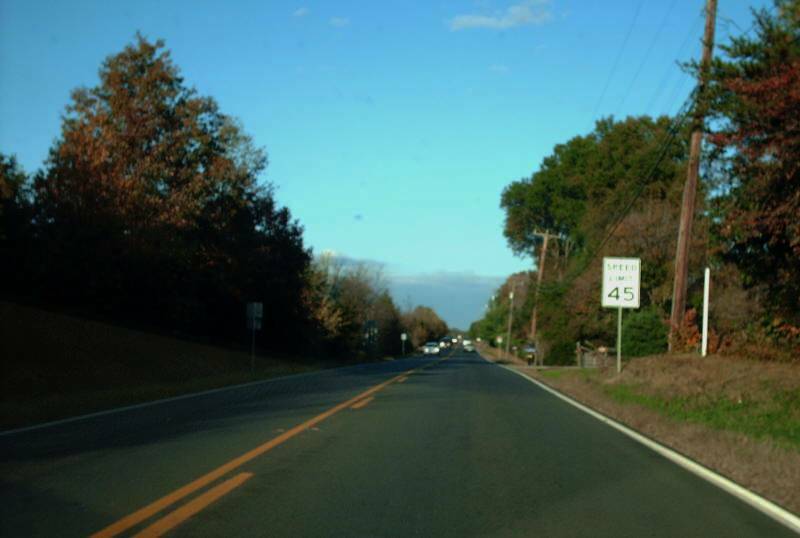 VA 295 #2: Appeared in October 1940 (CTB Minutes) as a renumbering of a piece of VA 28. Ran from US 15-29 New Baltimore to VA 28 near Bristow. 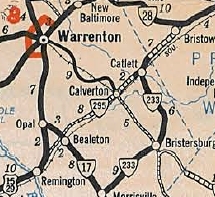 VA 295 was renumbered as VA 215 in 1962. VA 295 #1 in 1936. VA 295 #1 in 1940. VA 295 #2 in 1941.